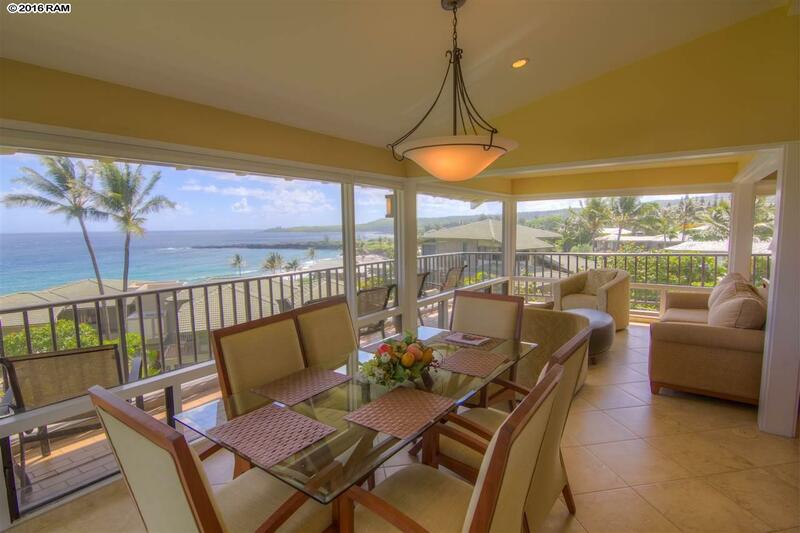 Just near the waters edge in Kapalua, West Maui is the Kapalua Bay Villas: a gated, 141-unit oceanfront, low-rise, luxury condominium community on 16.45 acres with direct beach access, and amenities such as 2-tennis courts, 3-swimming pools, BBQ, 24 hr security, and Kapalua shuttle service. 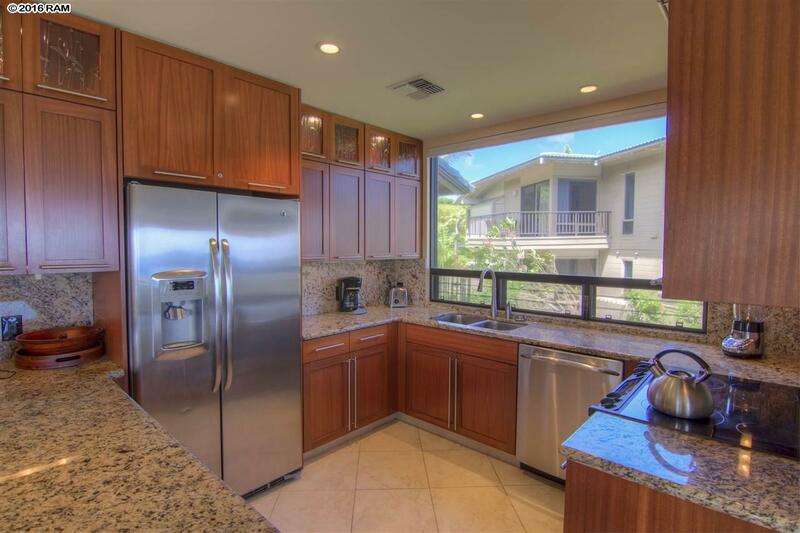 Kapalua Bay Villa Unit 17B 1-2 is a 2-level highly upgraded corner unit, completely remodeled in 2011. 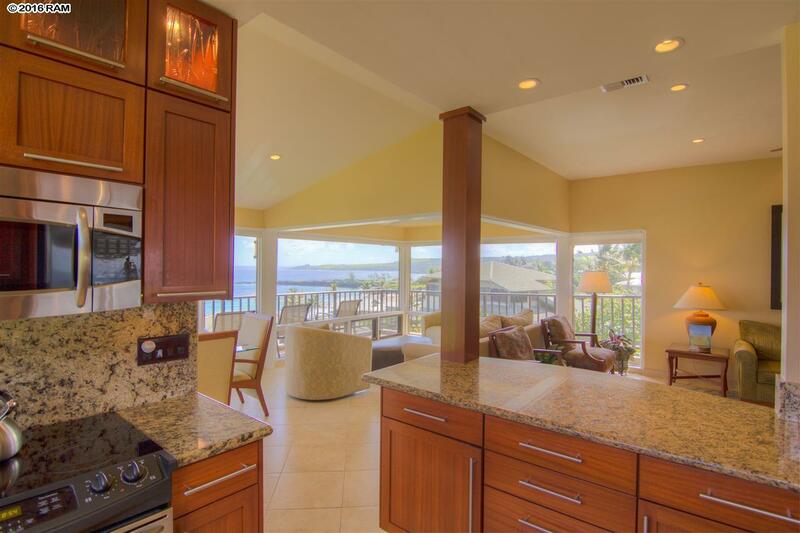 Expansive ocean, Molokai island and Maui coastline views dominate the senses from nearly every room in this unit. A wide open floor plan allows for single level access to kitchen, dining, living, family and guest bedroom areas. The upstairs master bedroom includes it's own living/lounge area and ensuite. 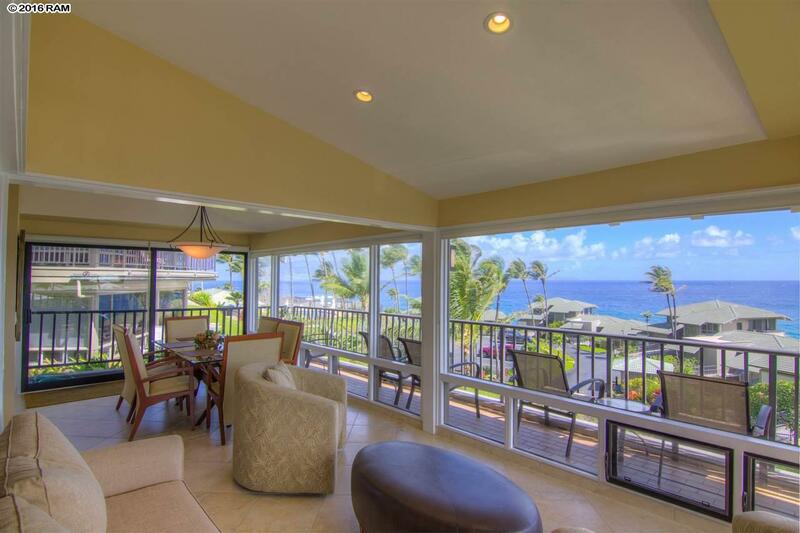 The 3 lanai's provide for plenty of outdoor entertainment space. Beautifully appointed and sold furnished. In a busy vacation rental program. KBV owners currently enjoy reduced rates at The Bay and The Plantation Golf Courses and at the resorts tennis facility. Shuttle service is available within the resort, as well as to/from the Kapalua West Maui Airport. The Kapalua Resort is located on the upper West side of Maui. Sought after for it's mix of exclusive privacy, combined with outdoor activity. At the heart of this pristine location are beautiful beaches, luxury hotels, 5-star dining, scenic golf, world class water sports and tropical terrain. Please reference property YouTube Video & Matterport 3-D walk through video.